In our experience testing 21 of the most popular home security cameras, we’ve discovered that splashy features don’t actually matter if the camera isn’t also functional and easy to use. For this second round of Reviews.com testing, we narrowed our list to nine standout options and did some hands-on testing for ease of use, mobile alerts, streaming quality, and two-way audio to find the best home security camera. We wanted cameras that would provide clear and reliable footage, while being dynamic in use. We narrowed the list down to 12 cameras by focusing on the seven features we felt were most indispensable. Resolution: A high resolution is essential for the best camera, and we set the bar at 1080p. This kind of clarity will help identify any intruder, and won’t soon be outdated. Field of view: The range of a camera’s vision should be at least 100 degrees. This helps cover a large area and diminishes the number of cameras you’ll need to purchase to cover entry points. Most of our picks have a roughly 130-degree field of view. Mobile alerts: Without motion notifications, a home security camera is fairly useless. It’s unlikely you’d be checking in on the app’s live feed often enough to catch an intruder or break-in as it’s happening. With mobile alerts, you’ll be notified and ready to take action immediately. Clear night vision: Cameras enabled with night vision can capture video in low light conditions, and help ensure the camera is still doing its job in the dark. Without it, you may not be able to distinguish between a black cat and a suspicious shadow. Two-way audio: Whether it’s to scare off a burglar or tell your mailman to leave the package on the porch, two-way audio lends a voice to your mechanical eyes and ears. Integration: We valued the ability to integrate your home security camera with third-party AI like Alexa and Google Assistant, If This Then That (IFTTT), and other smart home tech, as well as other home security companies. Having the flexibility to design a fuller smart home or security system down the line increases the worth of your investment in a camera. Security features: When streaming, sharing, or saving clips between your phone and the device, a secure encryption method for these transfers is paramount. After all, these cameras will be catching glimpses of your personal life, so it’s important hackers have a tougher time accessing this information. A roundup of all the cameras investigated in a second round of Reviews.com testing. Facial recognition: Because facial recognition is just on the rise and teeters on the brim of actually being useful (in our experience), we didn’t make it an official part of our criteria but did pay special attention to cameras that offered it (like Nest and Netatmo). One of the main benefits with facial recognition is that the camera can learn to memorize the faces of friends and family and alert you when an unfamiliar face graces your doorstep. What this technology can’t quite do yet is sound an alarm when an unfamiliar face or burglar approaches your home, or unlock the door for you when you walk up the porch after work. We timed how long it took to set up each camera and took lots of notes about the pairing process. While we wanted cameras that could go from in-the-box to operational in less than 10 minutes, this isn’t always possible, as some of the cameras require extra time for mounting or hardwiring to your home. For this reason, we took setup time on a case-by-case basis, but generally, all of our top picks landed within 30 minutes or less, thanks to clear instructions and great apps. Interestingly, setup time turned out to be a great predictor of how well the cameras themselves performed: Simpler setup correlated with better performance. We armed each camera and danced around to trigger the motion detector (we even clapped a little bit). Then we timed the number of seconds it took each camera to notify us of the activity on both Wi-Fi and cellular connections. We also played around with motion sensitivity settings and alert customization options, so that we could ensure we were seeing everything we needed to see without being bombarded by motion alerts every three seconds. Cameras that let us adjust the level of sensitivity and create custom alerts (such as sending notifications upon detecting sounds or identifying a person) gave us that level of personalization important in a home security camera. After a few days monitoring our pets and running past cameras, we found a few cameras that offer reliable footage, alerts, and integration. What good is video footage if it expires within the day? If someone were to break into your home, you’d need that video evidence to give to the police — but without cloud storage, it may expire before you have the chance to turn it in. Depending on the camera, you may have free storage for anywhere between 24 hours and 7 days. We gave preference to cameras with a variety of free and paid storage options (you can review the Cloud storage options for our top picks in the guide below). 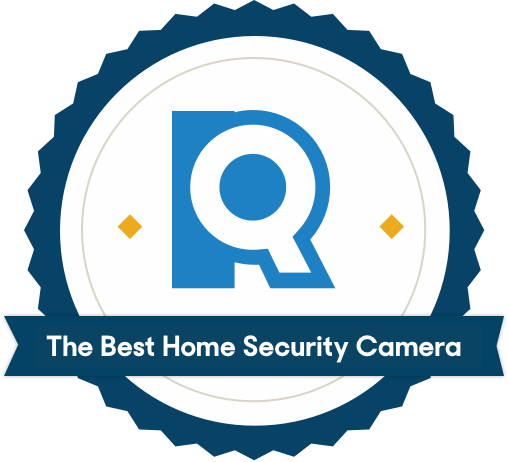 A high-quality camera that integrates with a variety of home security systems. This is true for all Nest products, but when you buy a Nest Cam, you’re buying into one of the most widely supported ecosystems in the home security business. 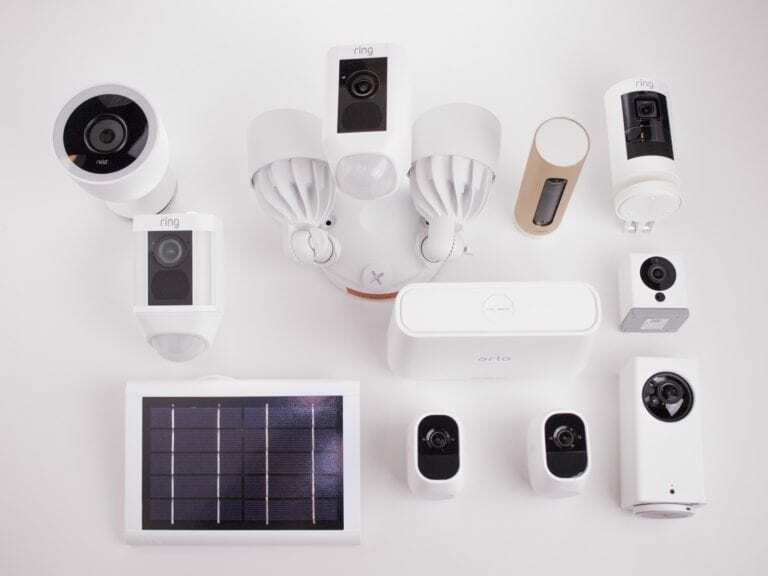 ADT and Vivint both offer direct integration with the Nest Cam, and there are a variety of DIY systems (like Scout and Abode) that work with Nest as well. The Nest app also serves as a hub for the Nest Secure, Nest Thermostat, Smoke + CO Alarm, and the Nest Hello Doorbell. And it can control a small selection of third-party devices like Google Home, Philips Hue lights, and Rachio Smart Sprinkler. If you want to begin the journey to building a smart home, Nest products are for you. One of the reasons we chose this camera over its sister IQ version is because it offers the same image quality for live streaming, day, and night vision for $100 less. The real differences between the two boil down to the IQ’s higher-quality zoom functioning and facial recognition features, but if these don’t matter to you, you’re still getting a precise camera for the value in the Nest Cam Indoor. The camera is well-built and surprisingly versatile. You can set it on a shelf, use a single screw to hang it on a wall or in a corner, or mount it on metal surfaces thanks to its magnetic base. Overall, we found it to be pretty sturdy and weren’t deterred by the wire, which lays on the ground and can be easily tucked away. After a seemingly rocky start in the security department in early 2019, it is important to note Nest does offer two-factor authentication. This means, for example, when you log in to check your live feed from a new device, Nest will send you a code to your phone to make sure it’s really you. According to our research, two-factor authentication is one of the easiest and most promising ways to mitigate security risks. A smart surveillance camera that doesn’t cut any necessary corners, even at its friendly price point. This Wyze Cam comes with the crux of the bells and whistles other indoor-only cameras bring to the table without the hefty price tag, like the clarity of 1080p HD, two-way talk, a 360-degree horizontal and 93 degree vertical range of view, and an ability to follow motion in real time. Really, you’re not forfeiting any core functionalities by choosing this discreet surveillance camera over another $200 pick. 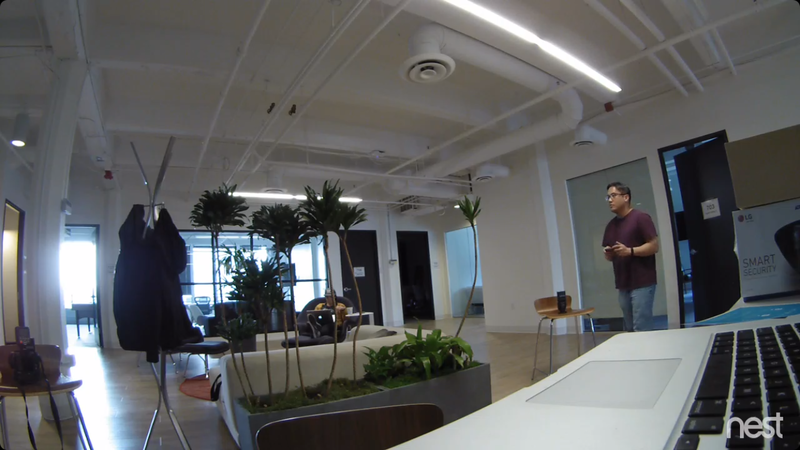 While our tester said it was relatively easy to manipulate the point of view from her phone, the device essentially moves to the left and right and stops in the middle — not in a full circle. It also makes a humming noise while panning. The scheduling functionalities made up for this particular woe, though, as our tester was able to program the panning/motion function to only run during the day while she was gone. A panning function is really only helpful if the device follows motion accurately. 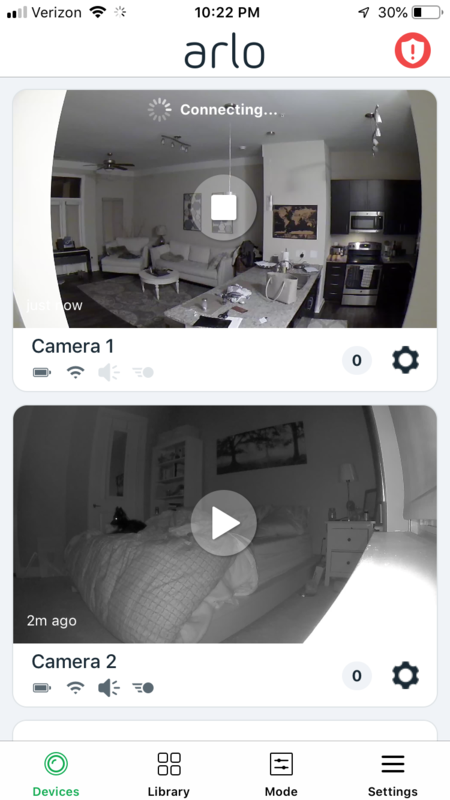 To our tester’s surprise, the Wyze Cam Pan passed the test in most cases (except for when she ran really quickly past the camera). The green box surrounding the target also helps you easily identify what it’s following — on cameras without this feature, it can be difficult to discern what caused the motion (yes, sometimes it’s the wind). Another impressive feature Wyze brings to the table is free, rolling two-week cloud storage. Other companies force you into paid subscriptions just to be able to store clips on the app. In fact, Wyze doesn’t even offer a paid subscription. 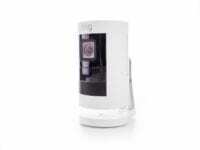 Instead, you can purchase a Wyze SD card that will give you two days of HD video and about seven in SD. But if this doesn’t sound appealing, you can use Wyze free option and save any 12-second clips for future reference on your phone before the end of the two week mark. 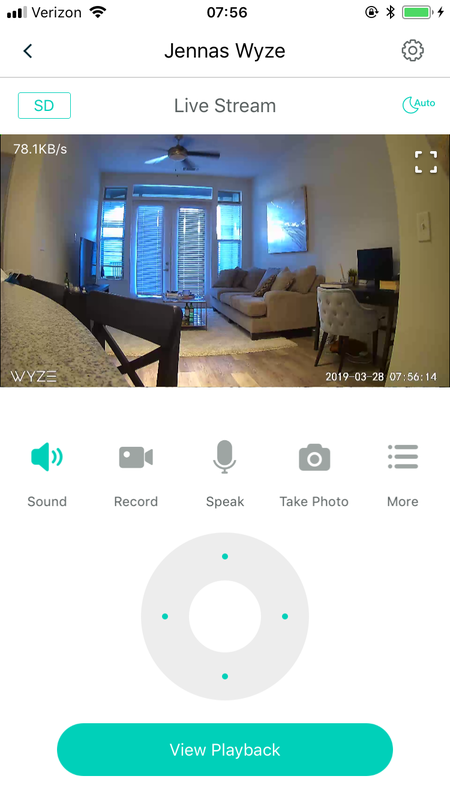 The Wyze Cam Pan works with Amazon Alexa and IFTTT, and while the lack of Google Assistant integration makes it slightly more limiting than some other contenders, our tester said the IFTTT commands gave her as many basic automation options she was looking for in a camera. Our tester set motion alerts to automatically turn on and off when she left and entered the apartment (taken from her phone’s location data) with IFTTT. We had some trouble with the night vision on this camera, one of our testers noting “the night vision definitely had a lower quality, but everything that I wanted to see was still visible.” It turns out that we’re not the only ones — several people have expressed issues with Wyze night vision. In some reported cases, the LED lights weren’t working properly, so Wyze recommended a factory reset (which has and hasn’t worked). If this happens to you, we recommend reaching out to Wyze’s customer support via email or live chat. The Wyze Cam Pan isn’t the only camera that doesn’t come with a built-in siren, but since it doesn’t, it is important to refine your expectations for what it can do. Rather than using a siren to scare a burglar (or animal) away, you’re left with two-way talk only. These types of cameras are best for keeping tabs on the day-to-day and providing evidence when needed. However, Wyze Labs is emerging as a player in the home security space, and might one day have the infrastructure necessary to support a full security system. You can already program your Wyze Cam to send alerts or start recording when a smoke alarm is triggered — and the company plans to go further. Slated to roll out in May 2019, Wyze Sense, a security kit complementary to a Wyze Cam, comes with a bridge that can host up to 100 contact motion sensors attachable to doors, windows, or anything that opens and closes. We plan to test this suite in the near future, but for $20, Wyze Labs is making a bold statement in the home security industry. A sleek and durable outdoor camera with crisp vision. Again, we chose this Nest Outdoor Cam over its IQ counterpart because you’re really getting the same quality and core functionality for $100 cheaper (minus facial recognition and 4K imaging). This camera is perfect for a long driveway or to cover a decent amount of your front yard with its 130-degree diagonal field of view. Like most all Nest products, this camera also works with the Nest Secure home security system — so if an alarm trips, this camera will start recording footage whether it’s on or not. 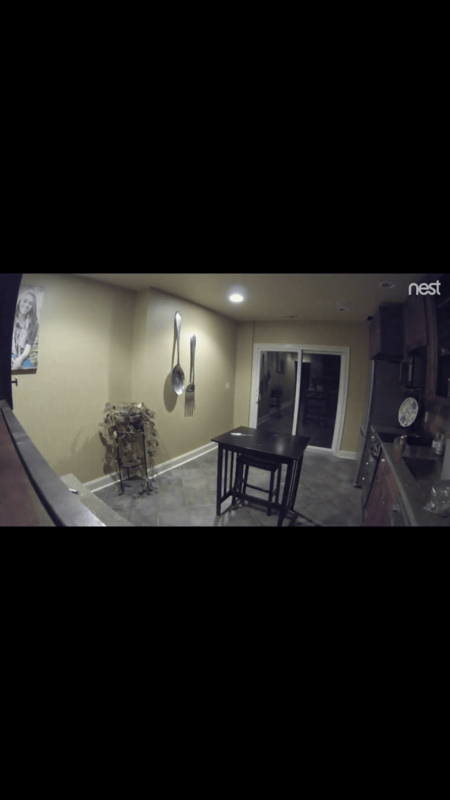 Nest Cam Outdoor footage on the bottom half of the image. 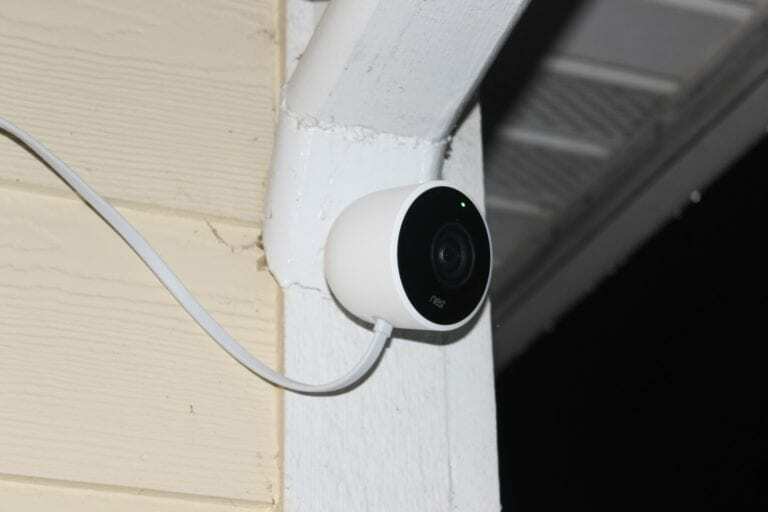 The Nest Cam Outdoor comes with a 15-foot cable that we had to drape over the top of a side door, but the excess length wasn’t a complete eyesore. In fact, it might even give you more placement flexibility. This camera pops into a magnetic base that allows you to adjust the point of view to easily and immediately fine-tune what you really want to see. The downside to this, however, is that it’s now easier to pull the camera off the side of your building, potentially making it vulnerable to tampering. In terms of withstanding the elements, we originally thought the magnetic base would fail us in high winds, but surprisingly, the Nest Cam Outdoor held its own — even in the midst of an Appalachachian thunderstorm. While we had virtually no trouble physically installing the camera to the side of our testing location, we did run into some issues with connectivity. In fact, we had to uninstall the camera and bring it back inside to attempt to reconnect it. This could have been attributed to our personal Wi-Fi setting, but according to Nest, the only router you should have issues with is a BT Home Hub 3 when it comes to cameras. This wasn’t nearly as painful as our time with the Netatmo Welcome — which worked fine until our tester unplugged it and tried a factory reset to get it working again. After 30 minutes of attempting to reconnect the Netatmo Welcome, our tester gave up. 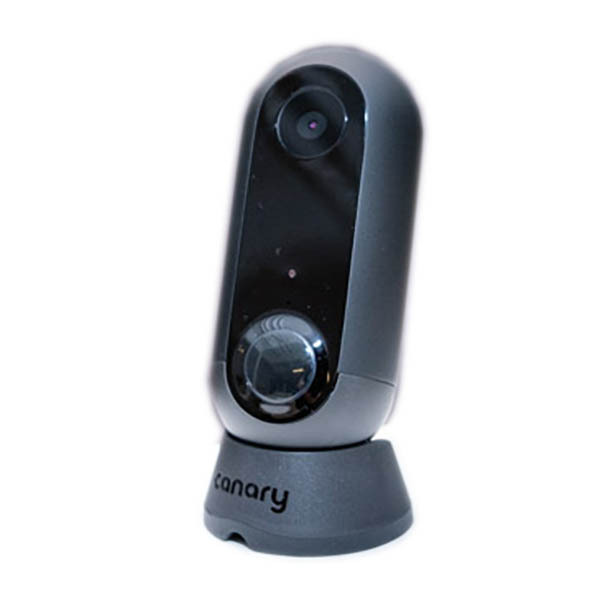 A discreet, wire-free camera for both indoor and outdoor use. 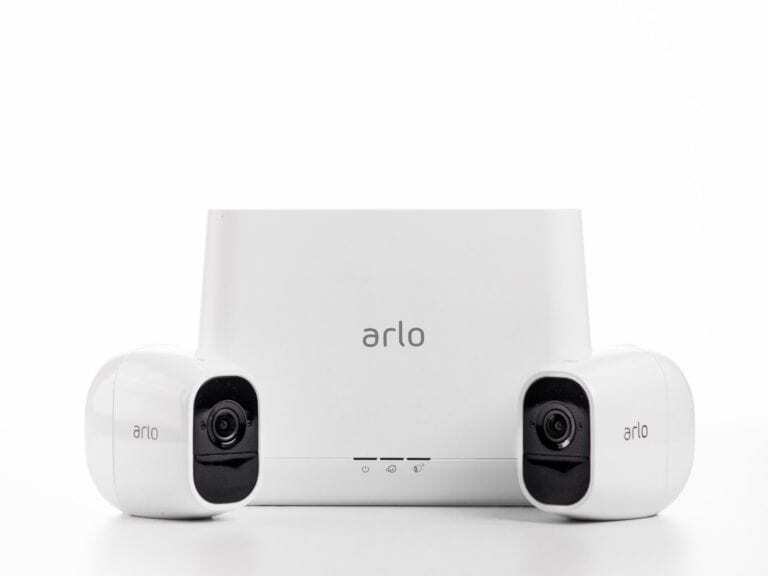 If you’re not a fan of clunky wires or don’t have the facilities to hide them, the Arlo Pro 2 is the only pick in our lineup that offers surveillance monitoring completely wire-free. The camera itself is discreet and easily hidden — it packs a punch without taking up too much surface area. 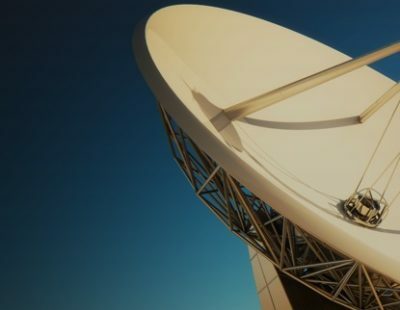 Along with two cameras, you’ll get a Base Station that will need to be connected to your router via an ethernet cable and placed at 300 feet from the cameras, as well as wall and outdoor mounts. The lack of wires didn’t completely hinder this camera’s performance when it comes to image clarity (1080p, 130-degree viewing angle). Our tester didn’t mount or take the cameras outside but was pleased with the versatility and amount of motion-sensing customizability. With Arlo Smart plans, your camera can distinguish between vehicles, people, packages, and animals — the type of artificial intelligence recognition that can really help you weed through what’s a false alarm and what isn’t. You can also decide what you want to trigger an alarm (100-decibel siren included in the Smart Base). Depending on the motion (or sound) setting you choose, the Arlo Pro 2 will send you mobile or email alerts when an alarm is triggered. You can also select how long you want the Arlo Pro 2 to record a certain event (10-120 seconds) — but if you want to plug it in, you can get non-stop recordings to ensure you don’t miss a thing. With Arlo Smart plans, you can receive “rich notifications,” which essentially send you pictures of events without having to unlock your phone. Most companies opt to send text-only alerts with a brief description of what’s going on, requiring you to open your phone and do some more digging. Our tester tried this on her Apple Watch and found the feature helpful but not quite as practical with her 10-lb. dog constantly tripping the motion sensor. Instead, she was able to receive sound-only alerts. 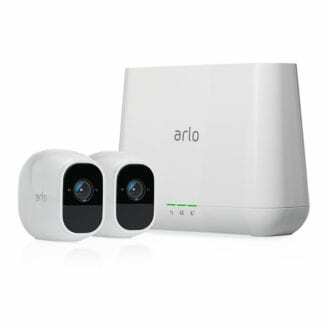 If you like Arlo and have the cash to spend, the Arlo Ultra is a more advanced indoor/outdoor version of the Arlo Pro 2. The Arlo Ultra comes with a high resolution 4K video that lets you zoom without sacrificing clarity, and a 180-degree field of view that comes without the awkward fisheye distortion. 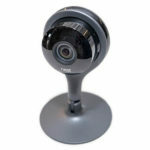 We haven’t tested this one yet, and while we’re excited about its features we feel as though you can still get a quality surveillance/security camera in its sibling model right now (for the price). The wireless aspect is certainly attractive, but the hub is wired and may or may not limit where you can place your cameras. Our tester, who lives in a one-bedroom apartment, didn’t have issues with placement, but if you live in a larger home with multiple floors the 300-foot range base-to-camera range might be pose a problem. After eight days of use, our tester said the Arlo Pro 2 cams still had full battery lives. This is impressive, but if you place the camera in an area with high traffic (or position it to constantly record), it could drive down the battery. Arlo says you should be able to get four to six months of normal usage without having to charge your camera — something to be mindful of. In order to enable the 3-second Look Back feature, which shows you what happened three seconds before a certain motion was detected, you have to plug the camera into the AC power. 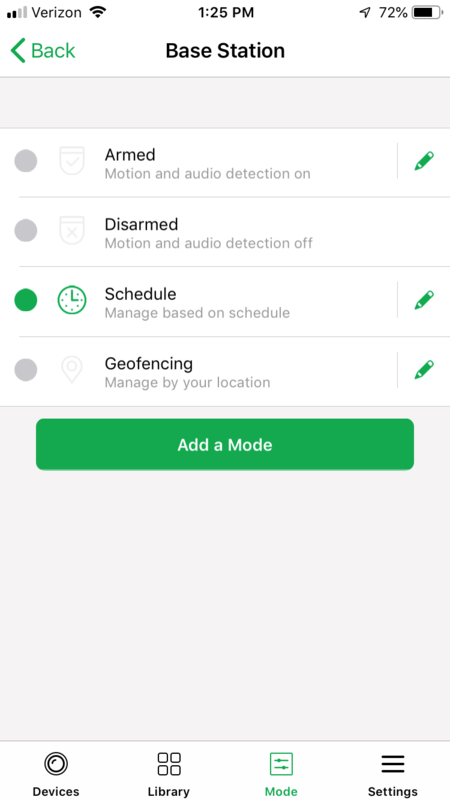 If you want to create activity zones in the app for your camera to focus on specifically or utilize 24/7 CVR recordings, these features also require the camera to be plugged in. 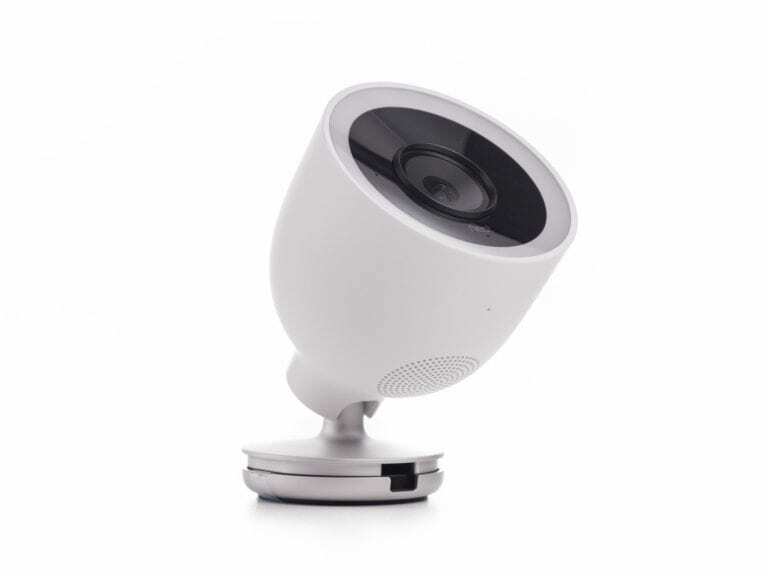 The Nest Cam IQ Outdoor is an impressive camera with some of the most advanced features on the market: 1080p, facial recognition, and a 4K color sensor with 12x digital zoom (this means you won’t lose any image quality by zooming). Needless to say, the image quality is consistently impeccably clear, even at night in Nest’s black and white hue. Unlike its sister Nest Outdoor Cam, it’s also pretty tamper-resistant with its sturdy base (and hidden wiring option, which you can choose to undertake). Overall, though, we didn’t feel like these features could quite justify the price right now. The familiar face alerts can be helpful, but Nest says it does take a few weeks for the algorithm to fully recognize certain people. This camera — and Wyze in general — could very well be a disruptor in the home security camera market. At only $20, this camera provides virtually all the features its $200-$300 competitors provide (minus facial recognition). 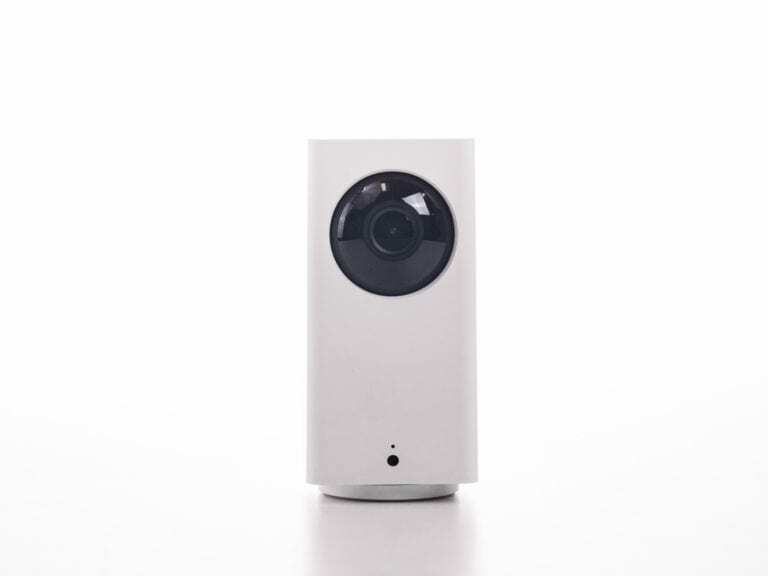 It’s more compact than the Wyze Cam Pan, and it doesn’t offer the expansive 360- degree horizontal field of view. 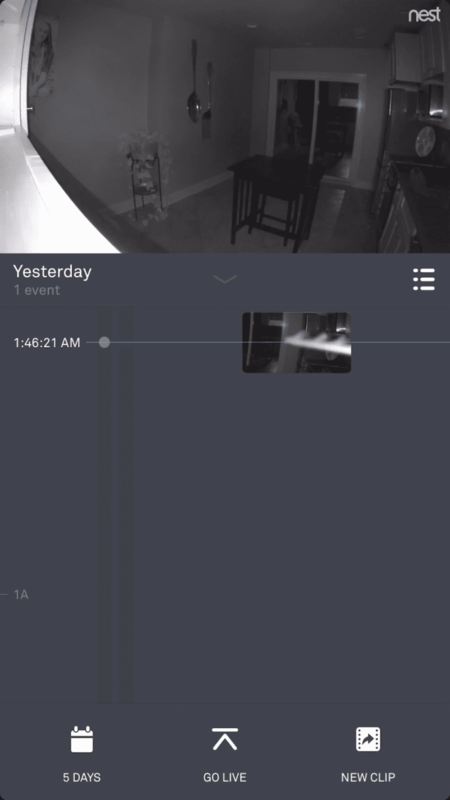 Other than that and a lack of Google Home integration, Wyze cams are seriously tough to beat. This camera is extremely versatile and boasts a wider field of view than its siblings at a 150-degree diagonal range. The motion zones are easy to manage and help drive down the amount of useless alerts. You can also choose to receive alerts for people only and schedule when to receive and disable motion alerts (again, if you have wandering animals). A nice feature in its own right, but we’d still sometimes get notifications when our cat was actually the culprit. Upon installation, Ring will ask you to enter your location. This helps the app tailor a feature called Neighbors to your surroundings. 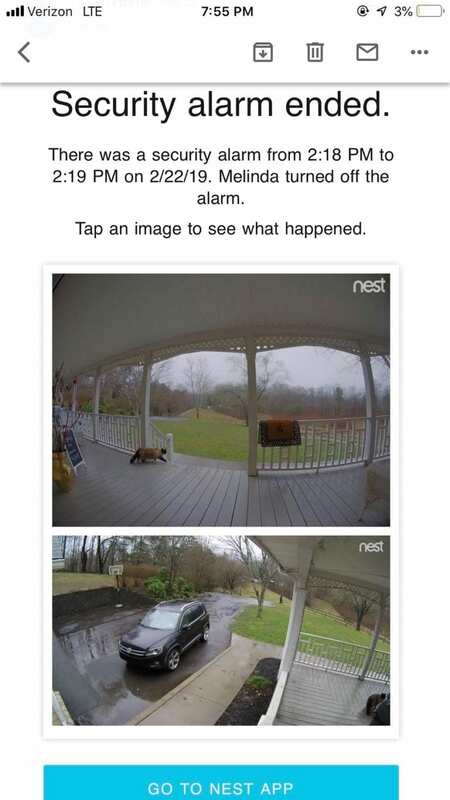 Basically, you can receive updates on crime via your neighbors, as people will post videos of packages getting stolen off their front porches or cars being broken into. You can post about your own experiences to inform your neighbors as well. This camera also comes with a built-in siren (that’s pretty underwhelming and not quite as loud as we thought it would be). The siren isn’t triggered by motion, but you can activate it in the app after seeing suspicious activity on the live stream. While this is a decent, user-friendly camera worth considering, there are a few reasons we couldn’t give it a top spot. For one, the two-way talk audio clarity was decidedly poor. By this, we mean we actually thought there was something lodged in the camera obstructing the sound when we first tried it. (There wasn’t.) Ring also offers the least amount of free cloud storage in this roundup. Without a Ring Protect plan, you won’t be able to see any recordings of motion at all after the 30-day free trial period, and Ring cameras don’t enable continuous recording without actively choosing to enable “Live View.” You will receive mobile alerts without a subscription, but if you don’t catch the action on the live feed immediately, you won’t have any proof of the instance. Lastly, Ring has faced serious backlash in early 2019 when The Intercept reported the company lacked sufficient privacy measures, leading to hacking and unwarranted viewership. Ring responded by saying employees didn’t have access to live streams, and that all recordings were “sourced exclusively from publicly shared Ring videos from the Neighbors app,” according to a statement Ring released to L.A. Biz. Ring’s privacy notice states that the company protects personal information by maintaining “administrative, technical and physical safeguards,” but we plan to update you on any movement we see in this sector. The Amazon Cloud Cam one of the cheapest cameras we tested — both for an individual camera and for running a multi-cam system. It’s $120, and most of our other picks retail around $200. Outfitting your home with two Cloud Cams would only be $40 more expensive than a single camera from another brand. Plus, you won’t have to pay for that extra camera on the subscription. For $7 per month, you get seven days of cloud storage for three cameras. You can sync those with Amazon’s Alexa, too. 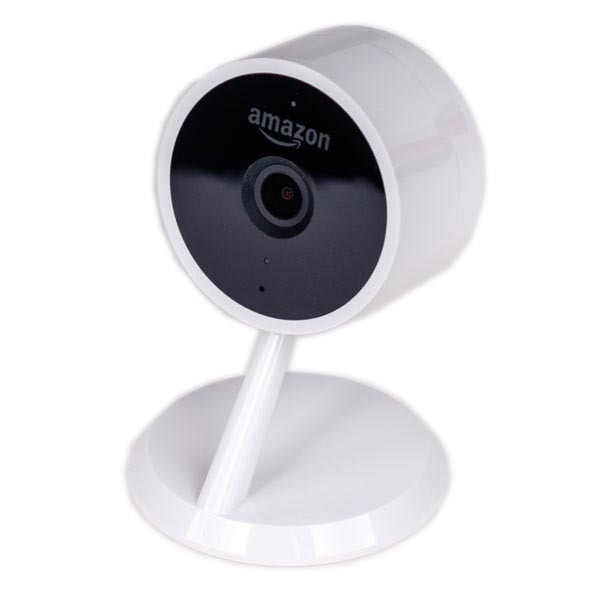 If you aren’t too invested in the construction quality, or are unsure if you need cameras at all, Amazon’s Cloud Cam lets you test out surveillance at a low price. That price cut came with a small sacrifice in quality: We found the plastic Cloud Cam was pretty flimsy. If you’ve got it resting on a counter, there’s a good chance your cat could swipe it off. However, the discounted price didn’t seem to affect the internal mechanics — we saw crisp live feeds similar to the Nest Cam Indoor. 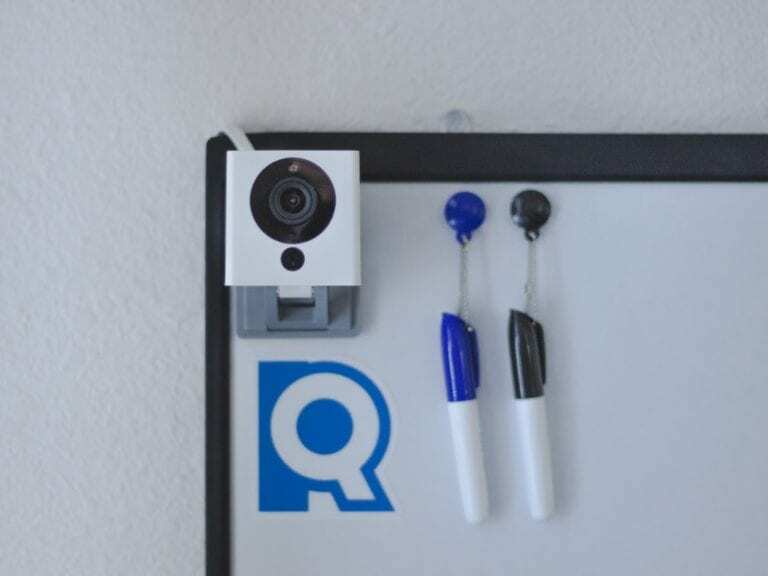 The Cloud Cam app is pretty standard, and we received alerts in near record-time. Unlike the Nest, however, you can’t scroll through the stored footage (it’s not continuous). You’ll only have access to the captured motion clips — no timelapse of events leading up to and after the detected motion. However, those motion clips were nearly too frequent: The camera seemed to have peripheral vision and would alert us to motion too often — like when we’d walked behind the camera or our shadow cast across the camera’s view. 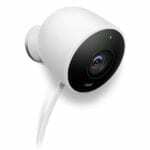 If you don’t mind a few extra notifications, the Cloud Cam is great for affordably outfitting a home with a couple cameras. The Canary Flex is a sleek, $116, pill-shaped device that doesn’t exactly look like a camera, but can be used both indoors and outdoors. You can unscrew the Flex from its wall mount with a few twists and then tote it wherever you want — as long as there’s a Wi-Fi connection for video recording. But even that limitation goes out the window if you buy a 4G LTE base from Verizon, which comes with its own data plan. We didn’t test the LTE base, but we can attest to the Flex’s battery life capabilities. It has a rechargeable battery, so you can place it without worrying about plugging it in. After more than 18 hours, the battery was around 50% and still going strong. And with its 360 degree swivel base, you truly can place it anywhere. If you want a camera that has the ability to work both indoors and outdoors — or the consistency of having the same exact camera inside and outside your home — this is a solid choice. For a monthly fee, you can unlock storage plans that range from 10 days to 60 days. That subscription may also come with desktop streaming, continuous storage, and custom modes. All prices monthly. Storing footage from multiple cameras may require upgraded plans. A reliable camera will give you high quality video on both LTE and Wi-Fi connections. We also evaluated how shaky the live feeds were during use, noting how many times we had to wait for each one to buffer to clear up a distorted feed. With this testing in mind, it’s also important to realize your Wi-Fi signal and range will have an impact on your camera’s reliability. Before choosing a home security camera, check your internet upload speeds against the minimum required for your camera of choice to ensure they’re aligned. Otherwise, you might run into slow loading speeds and connectivity issues. A home security camera will help keep your home safe, but if you want to amp up your level of protection you may want to consider a home security system and other home automation devices. Before purchasing a home security camera, research if it integrated with home security systems or gadgets like smart thermostats, smart locks, and smart lights. If you’re interested in added more security, check out our review of the Best Home Security Systems. How many cameras you need will depends on your security goals. If you live in an apartment with one main entryway, you’ll likely only need one for your front door. If you live in a house with multiple doors and windows on your first floor, it’s worth considering additional cameras. 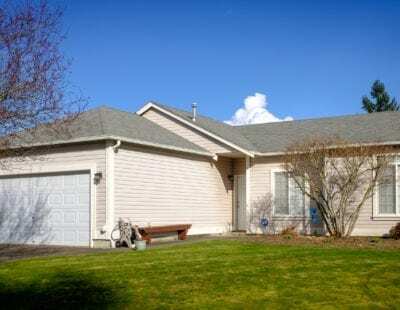 You’ll also want to think about whether you want an indoor security camera safeguarding your home’s interior or simply to keep an eye on pets while you’re away. What are wireless home security cameras? While the name might imply they’re wire-free, wireless home security cameras traditionally require wired power. This means they’ll also still need to be positioned near an outlet. The reason they’re “wireless” is because they transmit footage via Wi-Fi rather than an ethernet cable. Some wireless home security cameras are also wire-free, but this isn’t always the case. Check the fine print before committing to a wireless camera if what you really want is wire-free. What’s the difference between an indoor security camera and an outdoor security camera? Chances are if you purchase an indoor security camera it will not be equipped to handle the demands of outdoor surveillance. Outdoor security cameras must be able to withstand severe weather conditions and crisp night vision to see beyond the shadows and detect suspicious activity. 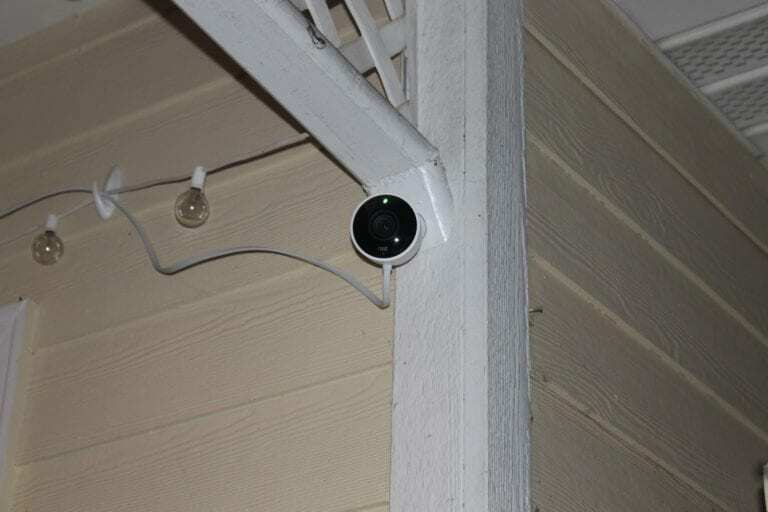 Indoor security cameras should still have night vision, but don’t need to be built for sweltering Florida summers or freezing Minnesota winters.